Wisconsin Gov. 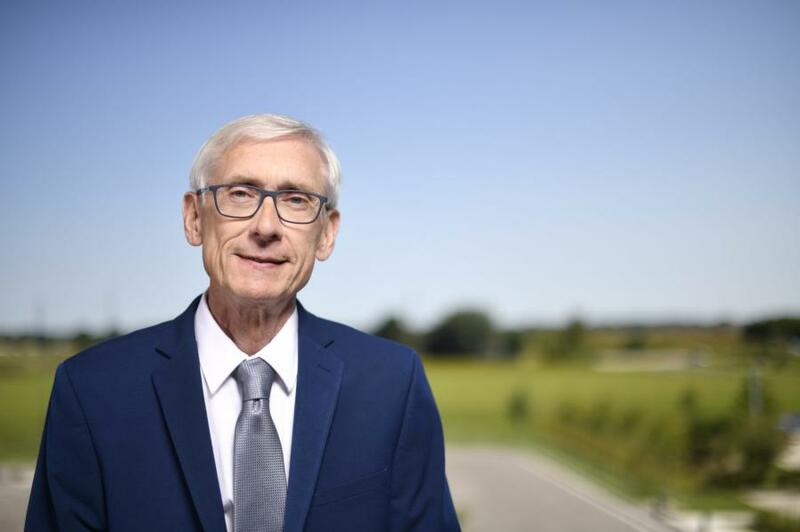 Tony Evers wants to generate $600 million in new revenues to "fix Wisconsin's roads, bridges, and highways" through additional registration fees on personal vehicles and commercial trucks as well as through adjustments to the state's fuel tax formula. The governor explained in his first state budget address Feb. 28 that "everyone is going to have to give a little to make this work." "That's compromise," he said. "We're all going to have to share the burden so this is feasible for everyone, and to make sure we're not passing the buck to the next generation." As a result, his administration plans to increase fees for vehicle titles and heavy trucks, while instituting a state gas tax increase of 8 cents per gallon that he said will be offset by repealing a "hidden tax" that costs motorists 14 cents per gallon. "That means our plan actually makes it possible for you to pay less at the pump than you do right now," Evers noted. The governor added that his administration also is going to make sure local governments "don't have to rely on things like wheel taxes" to make ends meet. "So we're going to increase general transit and transportation aid to counties and local governments by 10 percent to repair local roads and local bridges," he said. "And we're going to do all of this without having to raid our general funds and without jeopardizing other budget priorities like expanding broadband, fully funding our public schools, and reforming our criminal justice system. "Because of our long-term solution to this issue, Wisconsin's highway bonding in our budget is the lowest it's been in over 20 years. It's time we pay our bills and stop kicking the can down the road." At the end of the day, Evers stressed that "the people of Wisconsin expect and deserve for us to get to work on these pressing issues." "From broadband to health care, education to justice reform, and roads to redistricting, these are the priorities of the people of our state," he said. "Their plight must be our purpose, their crises our cause, and their desires our demands."